A result to put a smile back on our faces, a Nasri inspired Arsenal waltzed past a doggedly determined Leeds side to halt the slide against Championship opposition. The game kicked off with some tough challenges signalling a hard fought encounter but we soon got our passing game going, Arshavin and Chamakh combining nicely before the latter dummied the return of a one/two letting a besnooded Nasri slip through the centre of defence and bury the ball in the 5th minute. The deafening noise from the home support receded and the game was going according to plan. Chamakh had a couple of efforts thereafter- a great powerful header needing a good save from Kapser Schmeichel and a powder puff shot from the edge of the area. It is no wonder his first touch is so fantastic when a shot aimed on target has all the power of volleyed hacky sack. Where MC’s first touch is a thing of beauty, NB52’s has all the cushioning of a ping pong shot, one of which fortuitously ricocheted off Andy O’Brien to Sagna who took a touch and smashed it from the right hand side of the area- clean off the laces- to make it 2-0 and Arsenal were cruising at 2 nil. A superb goal from our Mr Reliable. Nasri and Song were running the show at this stage but despite a good work rate from all three forwards, Nik Chamshavin was not producing much up front with some poor decision making from AA , poor touches from Nik and poor shooting from MC leading to the odd groan. But the defence was relatively untroubled and the team was playing for each other when Arshavin was fouled allowing Leeds to continue a build up around our box in the 37th minute. The ball found its way to Johnson who scored what must be the goal of his career, busting the net from 25 yards out. It was an unstoppable shot that Szczesny could do nothing about despite leaping valiantly in the right direction. The renewed fervour of their support did little to alter the fact that we were still much the better team and despite the best attempts of ITVs commentary team to convince us otherwise, there was no Arsenal wobble this time. The second half started with a great move and a Song shot on target. Schmeichel was busy throughout and pulled off some good saves. Leeds countered and closed us down and tried to boss the game and if Song had not been there like a rock against the tide they may have done better against an otherwise lightweight Arsenal midfield. Arshavin had the look of a man desperately trying to play himself back into form but it was not to be and he and Chamakh were replaced by RvP and Fabregas . We immediately shifted from 3rd to 4th gear and within minutes Bendtner had the ball down the right wing and flighted the perfect cross. Van Persie leapt and hung in the air before nodding emphatically through the outstretched grasp of Schmeichel. After that it was showtime with flicks and kicks- our away supporters singing the Rocastle, Henry and Wright songs loudly enough to be heard on TV. Smiles all round at the final whistle- Huddersfield at home in the next round! Arsenal verdict: Good performance with even those off form grafting hard. Leeds verdict: They’ve got better players than I had given them credit for and play a fair tough tackling game. They deserve to do well this season based on this performance. Man of the match: Nasri, Song and Sagna all deserve a special mention. Moan of the match: Why do other teams’ fans always sing “same old, always cheating” when their players have committed the heaviest or clumsiest fouls? Szcenzny 7 Didn’t have much to do. Was a solid calming presence when required and couldn’t do anything about Johnson’s screamer. Sagna 9 Reliable as ever and a gem of a strike for our second. Djourou 8 Solid tidy play winning everything in the air. Koscielny 8 Did nothing wrong and showed he is a ball-playing centre back! Gibbs 8 Some good runs to link defence and attack. Untroubled by and large. Song 9 Immense presence – at times winning out against 3 Leeds players. Had too much to do at times but managed very well. Denilson 6 Just doesn’t have the presence to mix it even at this level. Left Song to do most of the breaking up and most of the link play. Nasri (Captain) 9 Another gluefooted display of glide and finesse. A joy to watch and a great goal to get the game plan going. Bendtner 7 Frustrating as he can be, his cross for the 3rd was top drawer and he put in a shift. Can he develop a better first touch at this stage? Chamakh 6 Some excellent link play and a good header in the first half. Faded in the second. Can he develop a better shot? Arshavin 6 Really tried, but it’s not coming off for him at the moment and his passing and decision making are suffering as a result. If you don’t agree with Carlito’s player ratings have a look at London’s …………………. Elland Road mid-week in January, 40,000 noisy fans up for the Cup, a promising Leeds team looking to cement their reputations; the joys of the F.A. Cup 3rd round. Being honest, we were fortunate to have the chance of this replay, the very late penalty saving Arsenal from the ignominy of an early Cup exit to a team from a lower division. Leeds outfought us at the Grove, they showed a grit we struggled to cope with and Mr. Wenger will consider himself fortunate to have another opportunity to progress into the 4th round. One can say that we played a second team but it remained a team packed with Internationals and expensive recruits – we had the personnel, we were at home, we should have won. Some of the media around the game is focused upon Walcott’s “dive” admission which showed Theo to be an honest, if naive, young man. The Leeds manager Simon Grayson has called for Theo to be banned for tonight (according the the Daily Mail!). We can expect the crowd to get on Theo’s case from his first kick which will hopefully inspire him, because from the moment Theo came on as sub in the home tie we looked more dangerous. I like Simon Grayson, he did a fine job with Blackpool, giving Holloway the basis for the team who have recently done the double over Liverpool. His work at Leeds has been nothing short of remarkable. Since Grayson’s arrival Leeds have had unremitting success, gaining promotion from Div 1 and now on the verge of a return to the Premiership, and he has done so without resorting to DirtyLeeds tactics. Grayson’s star in is the ascendant. We saw in the first tie how Leeds play. Based upon a very solid central defence and backed by a Schmeichel they work extremely hard. A midfield that will look to harry our skill payers into making rash and inaccurate passes, and fullbacks who have pace (I was very impressed with their right back Max Gradel). Upfront Sanchez Watt will be looking to impress Mr Wenger – but not too much. Beccchio is Leeds top scorer but may be out injured tonight. What side will Mr Wenger play? Who knows? Will he play a quasi- first 11 with Cesc, RvP and Theo starting or will he continue with the side that escaped at the Grove? Sagna is back and rested but AW likes to use Eboue in Cup games, and we have an important meeting with Wigan on the weekend. Will he continue with Djourou who played poorly at Upton Park and surely needs a break? Could he risk playing Miquel? The Nik B / Chamakh combination didn’t work at all in the first game, and Nik is clearly not a right winger. Either could start – my heart goes with Nik and my head with Chamakh. One player I would be surprised to see is Van Persie who despite having a huge impact recently should be rested and I expect Theo to come on as an impact sub should we need him. This team has enough to defeat any side in the PL let alone the Championship. Should the unthinkable happen, let it be down to poor refereeing or a superb Leeds performance and not lack of application and desire. Thank you George Graham & David O’Leary. True Gooners. Let’s start back in the late 60’s and early 70’s. The mere mention of Leeds was certain to cause fear in all but the hardest of Gooners. Leeds were as hard as their fans. Bremner, Giles, Charlton, Hunter etc were without question the dirtiest side I have ever seen, but let there be no doubt, that side could play great football before they kicked two colours out of the opposition. However, Leeds reputation was even more fearful on the terraces. I recall walking down Avenell Rd sometime in the early ‘70s when the Leeds hooligans rushed through the street kicking children, punching women and beating up anyone foolish enough to wear red and white. It was terrifying and as a consequence I have always hated Leeds with a passion. There is a need to say that the Leeds management did all they could to eradicate the hooligan element but no football fan was sorry to see Leeds slip down the leagues – it was karma. We had a rivalry in those days. 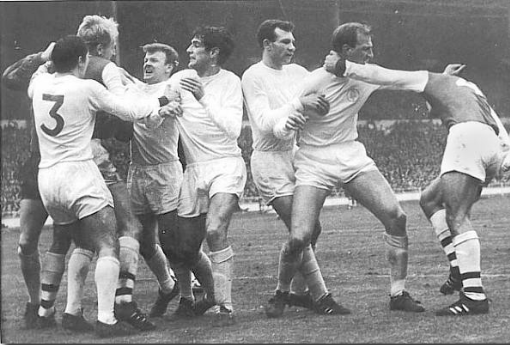 Leeds v Arsenal was a season highlight. Now, following the destruction of the club by infiltrated Gooners (thank you GG and David O’Leary for taking such sweet and delayed revenge), they are recovering from years of financial chaos and come to the Emirates for their first visit. I should say now that I know nothing of the current Leeds team – we have no coverage of the Championship in Denmark. Sanchez Watt would appear to be injured which would be a great shame for the lad as AW gave him permission to play. Leeds had a fine run in last season’s FAC, beating Man Utd and drawing with the rabble down the road – they will come with high expectations and Arsenal can be sure of spirited opposition. Arsenal are unlikely to play a full strength team and I wouldn’t be surprised to see Arsene make 9 changes from the Man City team. I hope we spank them …..
……….. but not at any cost! I’m sure the supporters of Leeds, Pompey and Newcastle regret their club’s excessive spending in pursuit of trophies, but there is an argument that the powers that be at Arsenal have erred too much on the side of caution in recent years. Financial – prize money, increased TV revenue, boost in merchandising sales, more lucrative deals with sponsors. Psychological – players gain valuable experience, develop a ‘winning mentality’ and are therefore more likely to be winners in the future. Kudos – raised profile – the chance of keeping our best players and attracting more world class players to the club is greatly enhanced if they believe they can win trophies. Let’s just accept for the purpose of debate, that the football club is a business, the supporters are customers and the players are assets/debits on a balance sheet. Emotion, nostalgia and expectation are traits that characterise supporters but have no place in a competitive industry. All the above is true, but what about the old business tenet ‘you have to speculate in order to accumulate’? Would a larger investment in new players over recent years have proved to be a shrewd business move? We will never know, but what we do know is that respected figures in the game including many ex-Arsenal players have repeatedly said we are only 2 to 3 players short of a winning side. We also know that the official line this summer is that we have money to spend althought the figures mentioned vary between £30-£60m and it is not known whether this takes into account any revenue from players sold. Mourinho took a calculated risk when he bought 29 year old Diego Milito for an undisclosed but apparently hefty sum. He identified a weakness in his team and bought the best player he could to rectify the situation. He was lucky, the gamble paid off and Inter reaped rich dividends – the treble including the Champions League title. Arsène has not been so lucky. Injuries and players not living up to expectation have been a feature of recent seasons and it is clear that he has been as disappointed as the ‘fans’ that are calling for his head. I believe he has it within his power this season to make the difference between competing valiantly and winning. The greatest test of his resolve will surely be demonstrated by his actions regarding the goalkeeper. We’re not paid by ‘business Arsenal’, we pay them. We have a right to our opinion as paying customers, whether it be unconditional support or rank scepticism. Many supporters suspect that if Cesc has decided he wants to leave, the club’s failure to bring in quality players with experience over recent years would be a major factor in that decision. Success in the transfer market is about judgement, calculated risk, ambition and luck. Arsène must exercise his judgement. The club needs to show greater ambition. Ivan Gazidis should take responsibility for the calculated risk and for once, we need lady luck to smile on us and grant Arsenal a season with just average injury problems. Ivan Gazidis is the unknown quantity. He is clearly 100% businessman so let’s hope he and Arsène are in agreement that we should take a few calculated risks and bring in the two or three players we need. I hope his apparent ‘stubbornness’ was simply a by-product of his pursuit of financial stability and he will spend some of the money the club can now afford to reinforce the spine of the squad. If he doesn’t, even those whose ‘cup runneth over’ with positivity will begin to question his judgement.